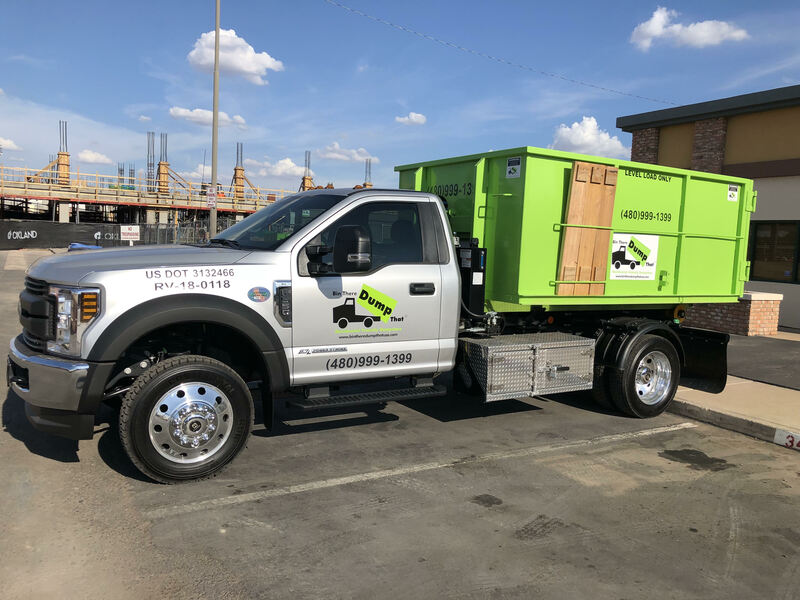 About Our Dumpster Service in East Valley, AZ! Thank you for stopping by East Valley Bin There Dump That. My name is Paul Mauger and I am your Gilbert/East Valley Franchise Owner. It is a privilege to service the residential, contractor, and restoration customers in the East Valley. Our office is located in the heart of downtown Gilbert. We are a local, asset based, family run business. Many in the dumpster business operate as brokers farming out pick ups and deliveries to the lowest bidder. Since we own the trucks and various sized dumpsters, you will work exclusively with us from start to finish. Bin There Dump That utilizes a proprietary system of residential friendly dumpsters. We offer 4, 6, 10, 14, and 20 yard bins allowing us to accommodate most any project you may have. Bin sizes span from a footprint roughly the size of a minivan to the size of a compact car. Having spent the last 20+ years working in the transportation and logistics industry, I understand the importance of picking up and delivering on time. We appreciate the opportunity to offer a unique and premier residential dumpster service to the East Valley. We pride ourselves on having clean, rust free, dent free, and aesthetically pleasing bins. Our unique truck and bin design allow us to place the bin directly on your driveway, without any damage. Prior to placing the bin, we put down boards to protect your driveway surface. After pick up, we sweep the area to return your driveway to pristine condition. We currently service Gilbert, Chandler, & Mesa. Our office is located in the heart of downtown Gilberts Heritage district not far from Water Tower Park. The weekly Farmers market attracts many to the downtown area and operates every Saturday throughout the year. The Gilbert Historical museum which is also downtown, chronicles Gilberts rich history. The annual Gilbert Parade is a large community event and runs right in front of our downtown office on Gilbert Road. As a bicycle friendly community, The Central Trail System officers 135 miles of riding opportunity. Gilbert is the 5th largest city in Arizona, and is consistently listed as one of the top five safest cities in the U.S. The town is named after Bobby Gilbert. He sold right of way land rights to the Phoenix and Eastern railroad. After the Gilbert spur installed and the Gilbert depot was built, the town was incorporated on July 6th, 1920 and officially became known as Gilbert. Initially an agricultural town, Gilbert was actually known as the “Hay Capital of the World” until the 1920’s.